Many years ago I began thinking that the classic forms of Christian spirituality that I had been taught in church and seminary just didn’t work for me. I came to faith in the evangelical tradition where a good Christian was supposed to have their daily “quiet time” of Bible study, prayer and reflection. I read all the books of Richard Foster and Dallas Willard on spiritual disciplines, and still consider Foster’s Celebration of Discipline as a critical book in my formation. I explored Roman Catholic wrters like Morton Kelsey, Brother Lawrence, Thomas Merton and Henri Nouwen. I read the classic Testament of Devotion by Quaker Thomas Kelly. I explored the charismatic movement and even dabbled in speaking in tongues for a few years. Yet, in the end something was missing. However, I did not actively think about these things much for many years. 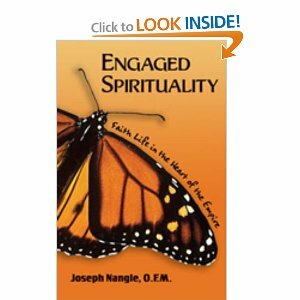 I tried to fit my spiritual discomfort into the classic disciplines of prayer, meditation, Bible reading and worship. Then a few years ago, I read through most of the writings of the Brazilian educator Paulo Freire. Freire is best known for his book The Pedagogy of the Oppressed, in which he outlines his philosophy education as a way of raising the consciousness of oppressed people in order to motivate them to change the social and economic order that keeps them poor. His critique of the “banking model of education” and the concepts conscientization and teaching as dialogue are now standard subjects in introductory education courses and presented as an alternative to traditional methods of teaching. No one author has shaped my own approach to teaching as much as Freire has. However, as I read through his writings, I saw and sensed and underlying spirituality that sought to engage the world even as it sought to change it. A lifelong Roman Catholic, Freire was critical of the Roman Catholic Church in Brazil for its support of the ruling oligarchy. Moreover, he criticized the clergy’s promotion of what he called “magical thinking” among the poor; encouraging them not to question the status quo (that was literally killing them) but rather to look for God to provide for them in miraculous ways and to reward them for their faithfulness in the hereafter. Instead he called for the church to be prophetic and to work in solidarity with those being crushed by the ruling elite. Terms like love, salvation, hope, conversion, and the Word, fill his writings. I find it odd that while many authors mention his affinity with liberation theology, few of his biographers and interpreters have explored the underlying spirituality that drove and sustained him. What I found in Freire was a Christian whose spirituality did not remove him from the pain and suffering of the world, but rather engaged him more fully in that pain and suffering. As he wrote one time, he “met Christ in the people.” This was a perspective with which I deeply resonated. For years I had noted that I felt God’s presence more fully in a political rally or demonstration, than I did in a worship service. Prayer seemed to make more sense as a way of expressing concern for other people and connecting with their struggle, than it did as a way of communicating with God. Jesus was less of a Savior on a pedestal, and more like a brother walking along side of me in the midst of the search for justice. Freire gave me a way of thinking about these aspects of the spiritual life that was not removed from the world, but rather fully engaged with it. Just recently, I came across the book, Spirituality of Resistance by Roger Gottlieb. Gottlieb is an agnostic Jewish philosopher who teaches at Worcester (MA) Polytechnic Institute, and is actively involved in promoting awareness about the critical nature of global climate change and the environmental crisis. Like me, Gottlieb is seeking to find a way to connect with some sort of spiritual presence as a form of resistance to the poverty, disparity and environmental degradation being committed by governments, corporations and individuals. He writes “To find a peaceful heart…we need to live on this earth: fully conscious of what is happening on it, actively resisting that which we know to be evil or destructively ignorant.” (p. 13). In other words, we can’t go into our prayer closets or out in the woods to seek God or spiritual peace, and hope that God or technology will somehow save us from our own self-destructive ways. We must meet God while we we are engaged in the issues of life and seek and express our spirituality through lives of active resistance to the status quo and in solidarity with those seeking to create a more equitable and just world. While Gottlieb rejects traditional forms of religion (and at points is understandably critical of their contribution to the current social, economic and environmental crisis), he does not reject those who can find a way to engage this crisis through those means. Drick, I am very interested is your journey. Looks like God is moving you in a very positive way. I like what you wrote about experiencing Him more when you are engaged in helping people. I find the same to be true. Dr. Boyd, I too experience God more when I am helping people. I believe that helping people is what I was created to do and doing so makes me feel closer to God more than anything else. I am being obedient in what he has planned for my life. Be careful lest you will be deceived.